In the early nineteenth century, when photography was very much in its infancy, drawings and etchings were far more available than photographs. 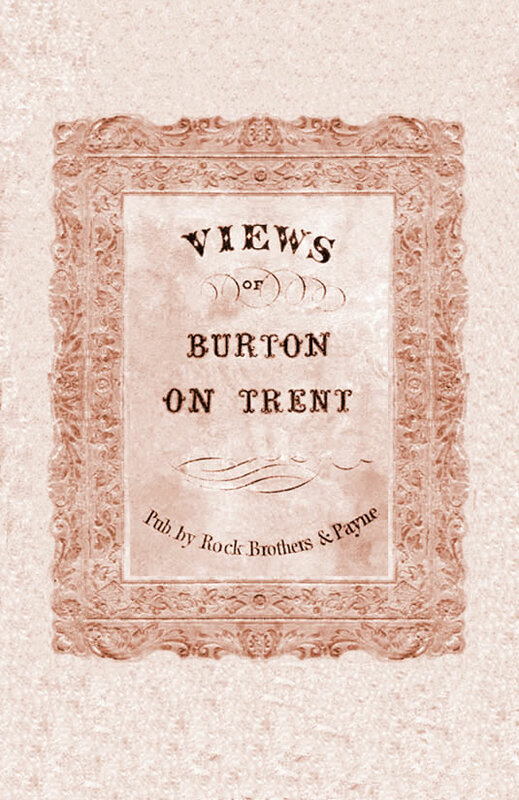 In 1860, Rock Brothers and Payne published a collection of etchings depicting scenes around Burton upon Trent, produced in the late 1850s by G.H. Newbold. 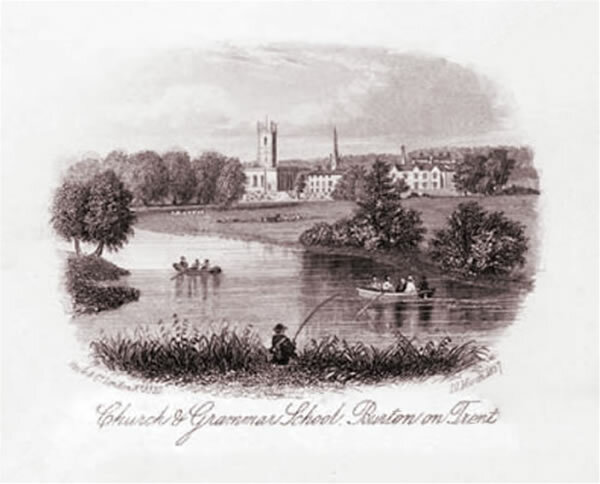 This rare plate titled ‘Church & Grammar School, Burton on Trent’ shows the view from Stapenhill of Saint Modwens Church and the Burton Grammar School some 20 years before Bond Street School was built. The ‘Silverway’ branch of the river Trent, a branch off which was used by the school for swimming lessons, is today little more than a brook and the view is completely obscured by trees.